Home startup What are the finest ways to come up with ideas for a startup? What are the finest ways to come up with ideas for a startup? As we all know, a startup is a term usually used to denote a new or a young company that is beginning to develop. A startup is generally small and financed, operated and managed by a handful of founders. Often, the startup is controlled by only one individual. 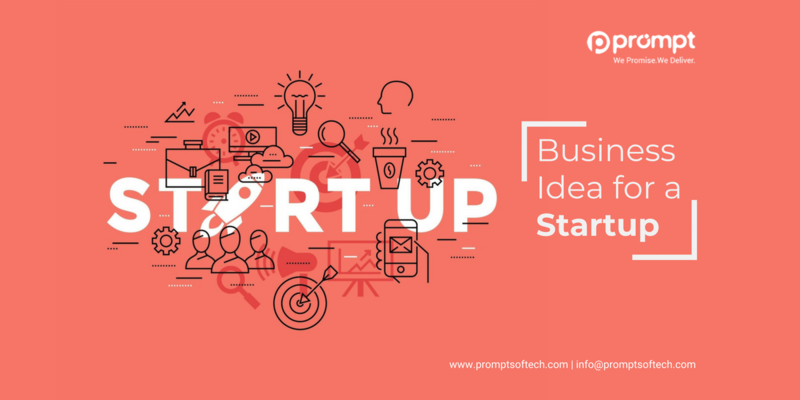 In an attempt to rise swiftly, startups usually try to offer innovative or out of the box products and services which are not traditionally provided by other organizations or are supplied by other companies in an unexplored format. An impulsive idea is the one which hits a person inadvertently. It comes around from nowhere at the most unusual time. It can approach a person when he or she is in the shower or their cars on their way somewhere. It can arise when a person in a conversation or during a meeting. The brain tends to connect the dots itself and makes the person have a moment of epiphany. At first, the idea may turn out to be, and it might be surprised that people have not thought of it before. While researching the design on the internet, it may turn out that someone or the other might have put the plan in form. However, in spite of this, the idea can be set to form in a better way. There may be an individual who has been working at an enterprise or an organization for multiple years. In these years, he or she has been finding loopholes in the organization and has tried to inform his bosses about these loopholes. However, due to company priorities, his social ideas were not noticed by his bosses. Or maybe the company spends too much money on hiring vendors for doing some work which can be done accomplished in less. This is nothing less than an opportunity for the individual. The person can start working on a solution. He can gradually begin to gain more information about the problems by talking to co-workers or industry contacts or expert people in that or similar domain. Using this knowledge the person can create a product to suit the market needs and commence his startup company. These ideas are deliberate and come to people who begin the journey with the objective to create a new business or work as an entrepreneur. This type of approach is usually developed by people who are not afraid to work on their innovative thoughts and start working once they have a purposeful idea. The first two types of ideas come to people unknowingly. However, the third type of thought comes to people who know that they want to start a company but don’t have an idea. Startups tend to succeed when they contribute to solving some problem for the good of humanity or society or the industry. Therefore, it is imperative that promising entrepreneurs find issues that can be addressed. 1. Being aware of the world around – The world is full of inefficiencies. These inefficiencies form to be potential opportunities. All that a person needs is to be mindful of these inefficiencies. 2. Think about the problems faced in daily life – It is not uncommon for a person to confront issues in everyday life. Thinking about those problems can generate solutions for those problems. 3. Branching out and trying out new things – People who face many inspiration-blocks tend to try new and different things. Working new things often helps people to turn off their brain from the default setting and makes finding problems a breeze. 4. Talking to people around – The most significant source of knowledge is out there. Therefore, it is advisable that people talk to their peers and gain a pool of shared experience. This assists in stimulating the mind and also creating new connections. Understanding people helps the individual to make a product that solves problems for people. There are many networking and community events which you can join which are accessible in both online and offline mediums. Technology plays a vital role in the perfection of startup services or products success by accumulating precise design, experimentation, interaction, and attention to details. At Prompt Softech, we have provided advanced solutions to a wide range of startups. We have been acknowledged by both our partners and industry analysts for our comprehensive services and technology skill-sets that assist our clients to win in today's competitive global marketplace. We continuously drive our services amid ideas, design, and technology. We develop innovative products and give importance to new engaging experiences to our clients across the globe. We maintain quality standards and active project delivery processes which make us a reliable business partner. Our technology expertise comprises of embedded systems development, CRM services, ERP services, application development, SharePoint services, internet of things applications, web design, software development, android development, iOS development, asp.net development, and cloud computing services. There are no right schemes by which a person can generate new startup ideas. People may have brainstorming sessions by which they find problems which are worth solving. Inspiration can arise at any time, but it cannot be predicted when. Therefore, it is essential that people keep digging until they chance upon an idea to work on it.